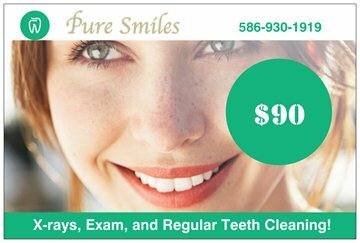 Pure Smiles offers comprehensive dental services to the Troy, MI area. Dr. Rani Dennison believes in a cooperative effort between the patient and her team to create beautiful smiles through regular visits and care. Pure Smiles offers a range of dental services from general dentistry, cosmetic dentistry, and orthodontics. As a certified prosthodontist, Dr. Rani Dennison will provide you and your smile the best of care. Call today to request an appointment.